The Pet Wiki > Birds > Bird Health > What are some illnesses affecting Birds? December 25, 2014 Comments Off on What are some illnesses affecting Birds? There are many bird illnesses that appear to have the same or similar symptoms. Some are even transmittable to humans. If your bird’s behavior changes or is worrisome, it’s time to consult your vet. Alopecia (loss of feathers) – Causes can be poor diet, external parasites, hormone imbalance or self-inflicted due to boredom or nervousnous. Consult your vet for treatment. Aspergillosis is a respiratory disease caused by a type of fungus. Symptoms are difficulty breathing, excessive drinking and urination, a bluish tinge to mucous membranes and skin and the appearance of lesions. 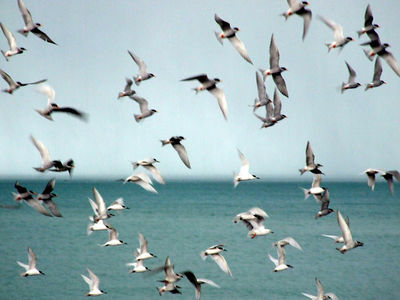 If the bird is already ill, is stressed, has a poor diet or unsanitary conditions, it can be predisposed to the disease. Treatment is a long process with antifungal drugs. Beak Deformities occur when the beak is overgrown, mite infestation, damage or infection. Keeping the beak trimmed properly will help avoid problems. Consult with your vet about trimming the beak and other treatments. Avian Influenza (Bird Flu)- Certain types of bird flu are contagious to humans as well. The virulent type spreads rapidly affecting internal organs and causes death almost 100% of the time. Overgrown Claws can become curled and twisted and caught on cage bars or toys. Regular trimming will avoid the problem. External Parasites – Lice and mites are often found on the legs and feathers of birds. There are insecticides to kill these creatures by spraying the cages. Birds should not be returned to the cage for 3 days and cages should be thoroughly rinsed with plain water. Candidiasis is a yeast infection and can cause problems in the digestive tract, respiratory system and beak. Candida albicans is the yeast that is present in the digestive system ob birds in low numbers. An increase in the amount causes the damage. Treatment is an antifungal medication, good diet and a clean cage. Coccidiosis is a parasite found in the lining of the intestine. Symtoms are fluffed feathers, sitting in the bottom of the cage, bloody diarrhea. Consult your vet for treatment. Diarrhea – Bird droppings are normally black with a white center. Green or watery droppings are a sign of diarrhea. Causes can be food that is dirty or an underlying disease. Ask your vet how to treat your bird. Giardia is quite common. It is a one-celled organism that lives in the small intestines and can be released in the bird’s droppings. Symptoms are malnutrition, diarrhea, itching, feather plucking and weight loss. Consult your vet for diagnosis and treatment. Heat Stroke – can be avoided by never placing the bird cage in direct sunlight. It’s best to keep the cage in a light, airy place out of drafts. Gout usually follows a kidney problem. Symptoms are restlessness and lifting and lowering alternate feet. Leucocytozoonosis is caused by a blood parasite transmitted by the bite of the blackfly. 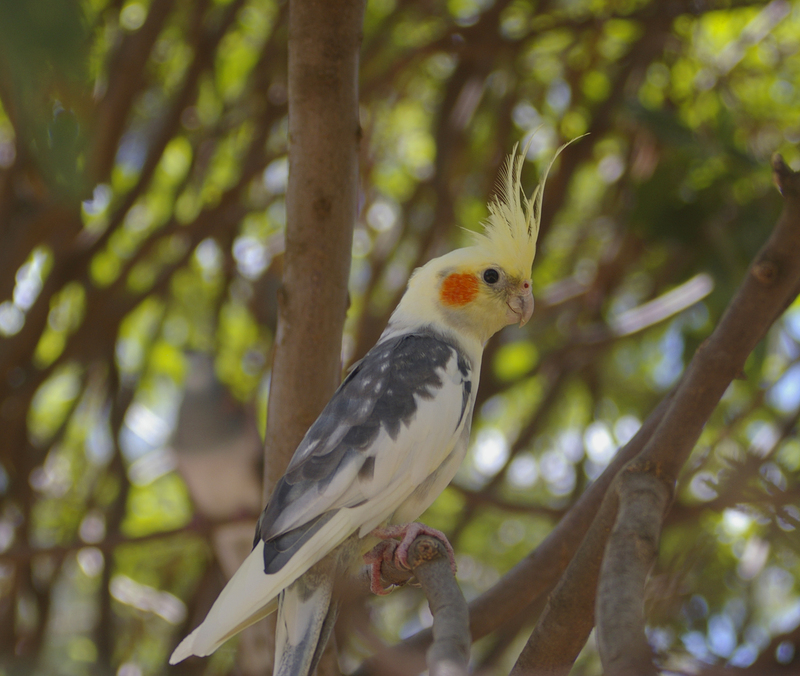 Affected birds may show no signs until the disease has taken hold and then can exhibit weakness, anorexia, difficulty breathing. Dow Chemicals makes a drug that has had good results in controlling this disease. Pacheco’s Disease (Parrot Herpesvirus) is caused by a herpes virus resulting in acute viral hepatitus. It is transmitted through contaminated food, water or feces. Onset is sudden followed by rapid death. Papillomas are small tumors appearing on a bird’s skin. They are causes by a virus and are harmless. They don’t require treatment unless the bird is plucking its feathers. Psittacine Beak and Feather Disease (PBFD)- This virus attacks the immune system and cells which produce the beak, claws and feathers. Symptoms are diarrhea, vomiting, lethargy and loss of appetite. 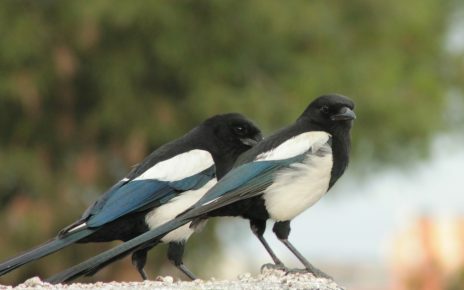 Immune system involvement leaves the bird open to other diseases. There is a vaccine but at present it is only in the experimental stage. Psittacosis (also known as Chlamydiosis, Parrot Fever and Ornithosis) – Symtoms may be breathing difficulty, not eating, diarrhea, discharge from nose and eyes. This disease can be transmitted to humans and cause mild to severe respiratory problems. Consult your vet for treatment.